I have lived in WI my entire life (aside from a couple of summers working out of state during college). I was born and raised in Wisconsin, went to college in Wisconsin, met my wife in Wisconsin and have chosen to call Wisconsin home for the foreseeable future. Our family loves to travel, but we also love to come back home to WI. My wife and I are constantly amazed at the beauty this state has to offer, as well as the bounty of outdoor activities to do. This is one of the things that I love about my “ring hunt adventures”, they take me to parts of the state I have never been before. I especially love being around water – the sight and sound is so peaceful and relaxing. So discovering new lakes in WI is a bonus to our ring hunts. Lost Ring – Please Help! 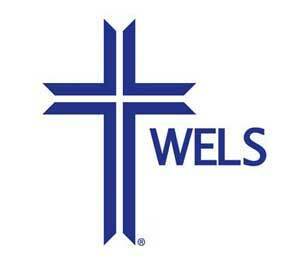 I received a call from Jon requesting help finding a lost ring in Lake Petenwell, WI. I was not familiar with this lake nor had I ever heard of it. I had to ask him to repeat it a couple of times on the phone. I didn’t know if it was an hour away or 5 hours away! Turns out it was just north of Castle Rock Lake, a lake we are very familiar with! The past two summers we went on lost ring hunts at Castle Rock Lake, which ended up being two of my all time favorite searches. Check out these lost ring stories here. You Found My Ring! and Newlyweds, Newly Lost Ring!. Jon explained that they were up from IL on vacation in the Lake Petenwell area. He had ventured out into the water, but due to a very windy day – he was knocked over by a large wave. Jon had recently lost a lot of weight (50 lbs!) so his wedding ring of close to 9 years was loose. The still somewhat cold water caused his finger to shrink just enough that his ring was swept off his finger and he realized her had a lost ring in Lake Petenwell. Jon explained to me that he was leaving the next day and was desperate to recover his lost ring. He wondered if I had a metal detector that could help find it. I asked Jon to send me a map of the area in the event I was not able to drive up the same day. I could possibly go up over the coming weekend with my metal detector. He immediately sent a nice Google Map, marking the area where he had entered the water. 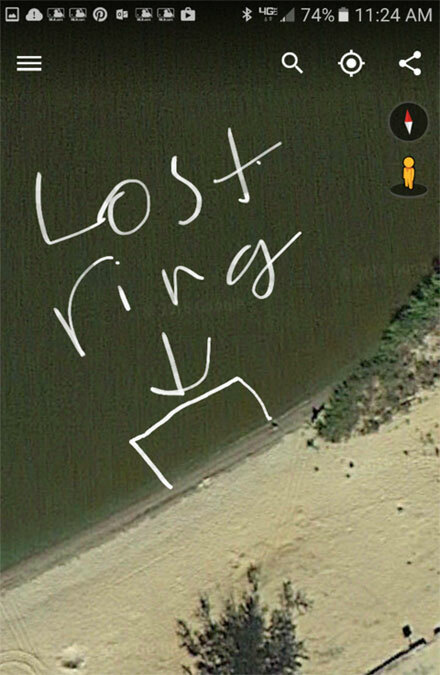 Lucky for me the lost ring in Lake Petenwell was in shallow water. According to the Internet, the Lake is 42 feet deep in some locations. I don’t have scuba equipment, so water hunts with my metal detector have to be in water below my neck. 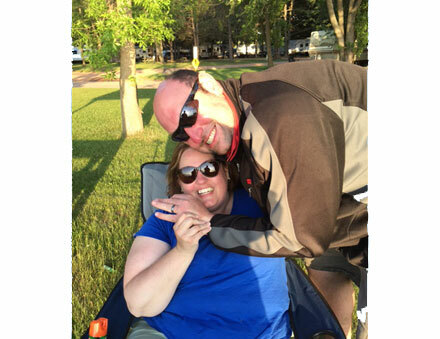 “What started as a fun day of swimming with my family at a scenic lake quickly turned into a nightmare as a rogue wave knocked me over sending my wedding band to the rocky bottom. At first I thought I could scoop up the sand around me and get lucky but after about an hour with no ring, I had to call it as the sun light ran out. The next day I went back with a noodle colander at 6 am to sift the fridged shoreline but after 2 hours I was getting nowhere close. Feeling defeated, hundreds of miles from my house and leaving our vacation home the next day I went to Google searching metal detector rental as a hail mary pass to get the ring back. That’s when Dan Roekle of www.LostandFoundRing.com came across my phone. It was almost to outlandish to believe. A ring hunter in central Wisconsin who could be the answer to my prayers. After a few eye rolls from the family peanut gallery and with nothing to lose I called and left Dan a voice mail. Dan was prompt to respond and even came out that evening to do one last search. We met at the shore my ring was buried under. I was able to give about a 200 square foot area it was likely in and he quickly began to search with his metal detector. Within 20 minutes Dan was holding up my irreplaceable wedding ring with a big smile. I quickly checked the inscription – “Cheek to Cheek” which was our wedding song. The thought of replacing the ring I wore on my wedding day was soul crushing so I was not concerned about cost; however Dan was very fair and professional in negotiating the reward due to the distance he had to travel. So with my wedding ring being priceless, the service provided was an excellent value. I can not thank Dan enough for what he does, it makes a big difference in the lives of strangers put into extraordinary situations. Lost Ring in Lake Petenwell – Found! 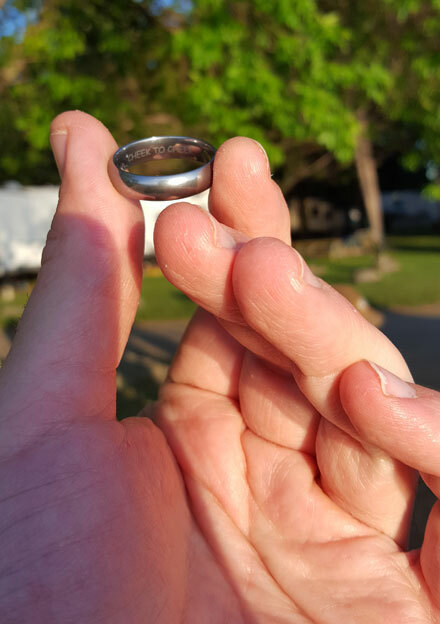 It is so rewarding being able to return a lost ring to someone … but it is even more rewarding to find a ring with a metal detector in a 23,000 acre lake and return it someone! Amazing when you think about it. The fact that Jon knew that he had lost it 100% and was 100% sure where he was actually made it quite easy. Hardest part was swatting away the mosquitoes! This was Lost Ring #36! Thanks Jon for the generous reward. We will be using it to purchase a new sand scoop for my son, so that he can join me in the water on hunts with his metal detector. We will now be able to cover twice the ground!